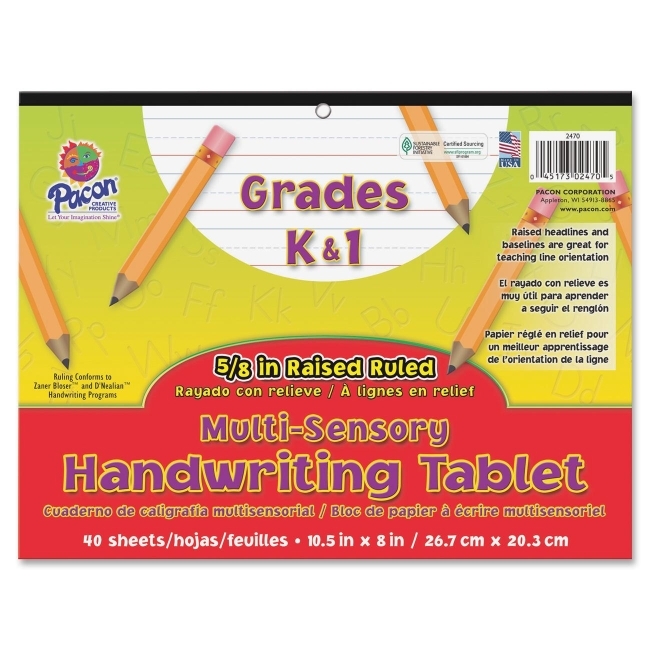 Media Size: 8" x 10.50"
Handwriting tablet features raised headlines and baselines that help students stay within the guidelines. The multisensory design helps teach handwriting through two senses: sight and touch. The headlines are blue, and the baselines are red. It has a 5/8" ruling, 5/16" dotted midline and 5/16" skip space and conforms to both D'Nealian and Zaner-Bloser handwriting styles. Each tablet contains 40 sheets with a heavy chipboard back and retail-friendly, protective cover.